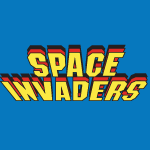 In this part of my Video Game Tutorial we completely finish Space Invaders! Well create the Alien AI, Think About when it Makes Sense to Ignore Collisions, Randomize AI Firing, Change Images, Hone AI Movement, Make Objects Appear, Randomize Actions, Animate Explosions, Utilize Sound Effects and use StartCoroutine, SpriteRenderer, Yield and more. The Images & Sounds are here. All of the code used follows the video below. If you like videos like this consider donating $1 on Patreon, or just turn off AdBlock. It helps a lot!